More stable, maximum performance and direct x 12. Yea this is another description of Windows 10 for gamers. How is the performance really? How best can you optimize your game right now? Do you really know all the „game hacks“ for best FPS and smooth gameplay? Let me tell you. Benefit from the new OS, frist thing is that there are currently no graphics problems with drivers, you can always set compatibility to lower windows version for any driver, so graphics is ok and in some games you get even more FPS because of Windows 10 optimization between graphics, CPU and memory. Wait for DirectX 12 that’s where things will change with less CPU overhead, cross-GPU rendering and in the end much more complex scenes. How to best upgrade to Windows 10. Be sure that you sometimes visit your BIOS, unlock your cores or simply little overclock your CPU to be stable but more stronger than stock settings, read some articles over the web. Same goes for graphics. 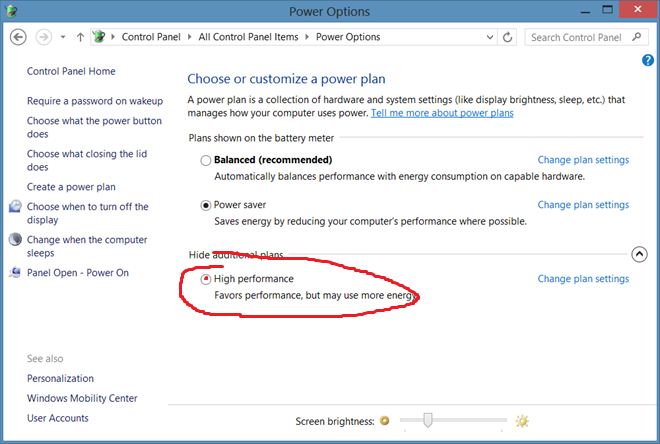 By default your OS might be in balanced or worse – power saving mode, these two options will never give you best gaming peformance so aim for the High performance and see how insane change it is, a big AHA moment for your gaming. Pick your game process, show process from all users and set priority to High (not Realtime – its too much). This will increase your FPS. Even though you have so many cores these days close other apps, seriously just close them all. Some crappy script or something might be in your browser lagged or rendering some site and your gaming would not be that great, same goes for other apps on the background. Best you can do also with your firewall/antivirus is to set it to game mode if it has – Comodo for me the best antivirus/firewall with which you can also Kill Microsoft’s Privacy Spying, can be put to gaming mode. 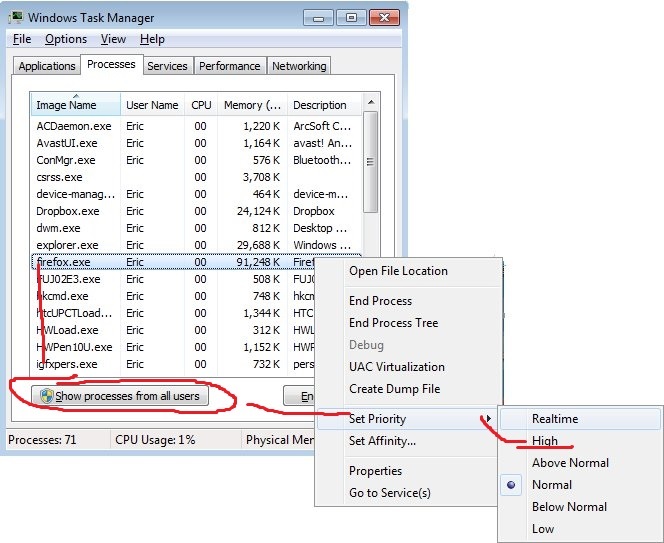 Other thing is to block or interrupt crappy processes in msconfig that you can run from Start/Run.